With a strategic location, competitive taxes and a multicultural workforce that is well-educated, highly-skilled and productive, British Columbia is one of Canada’s most dynamic places to do business, presenting unique opportunities for entrepreneurs. The British Columbia Entrepreneur Immigration stream of the British Columbia Provincial Nominee Program (BC PNP) has a unique registration system, known as the Entrepreneur Immigration Registration. The registration process functions like an 'Expression of Interest Model', which means eligible candidates, who have registered, must be invited to apply before they can submit an application to the program. Successful candidates will obtain a work permit and, if the business operation in British Columbia fulfills the requirements of the stream on an ongoing basis, they will be able to apply for permanent residence in Canada through the BC PNP. This stream provides a pathway to Canadian permanent residence for experienced businesspeople who can establish themselves in B.C. and invest in and operate a commercially viable business that can provide significant benefits to the provincial economy. Post-secondary credential or experience as an active business owner-manager with 100 percent ownership of the business for at least three of the past five years. Personal investment of CAD $200,000 in eligible expenses. If proposing a key staff member, the investment requirement increases to $400,000 and the job creation to three. Prepare for registration by conducting business research. International entrepreneurs are encouraged to conduct an exploratory visit to B.C. to learn about business opportunities and the local business environment. Individuals must register with the BC PNP by creating an online profile, paying fees and obtaining a registration score based on various factors, including business ownership/senior management experience, personal net worth, adaptability, business concept and others. Candidates will be assigned a score for the business concept within six weeks of creating a profile. The highest-ranked candidates are invited during periodic draws held by the BC PNP. If invited to apply, candidates have four months (120 days) to submit a complete application under the BC PNP Entrepreneur Immigration Stream, obtain a review of the declared personal net worth and funds, and pay the required fees. Applications are assessed based on program criteria. Applicants may be invited to attend an in-person interview in Vancouver during the application assessment stage. If an application is approved, international entrepreneurs sign a Performance Agreement and receive a Letter of Confirmation to apply for a two-year work permit with Immigration, Refugees and Citizenship Canada (IRCC). Once they arrive in B.C., international entrepreneurs have up to 20 months, or 610 days, to implement the business plan, actively manage their business, meet all the conditions of the signed Performance Agreement, and demonstrate residency within 100km of the business (for at least 75% of the work permit period). Between 18 and 20 months after arriving in the province, entrepreneurs must submit a final report to the BC PNP describing their business activities while on a valid work permit. The Government of British Columbia nominates approved entrepreneur applicants by issuing a confirmation of nomination, which enables entrepreneurs and their eligible dependent family members to apply for permanent residence with IRCC. IRCC may review additional information in the application to ensure that the nominee continues operation of the business and residence in B.C. learn more about what it’s like living and doing business in B.C., and gain a better understanding of our health care and education programs, housing, culture, recreation opportunities, and lifestyle. If purchasing an existing business, the prospective applicant must ensure the business meets all the eligibility requirements for the BC PNP Entrepreneur Immigration Stream. To register to the BC PNP, individuals must create an online profile, complete all sections and include a business concept. If invited to apply, individuals must obtain a verification report from BC PNP-qualified supplier. Failure to provide satisfactory evidence to verify personal net worth and source of funds may result in the refusal of an application. If invited to apply, individuals will be required to provide evidence of their education and may be required to provide an Educational Credential Assessment (ECA). If invited to apply, individuals must demonstrate the proposed business is consistent with the registration business concept and show the potential for commercial viability to show how the proposed business will be successful in B.C. 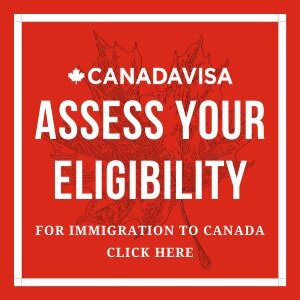 demonstrate that the business will create at least one permanent, new full-time equivalent job for a Canadian citizen or permanent resident of Canada within 365 days (12 months) of the arrival date. The registration must include a short business concept that will be assigned points based on proposed commercial viability, transferability of the candidate’s skills, and economic benefits. If the candidate is subsequently invited to apply, he or she will be required to submit a comprehensive business plan. The BC PNP will consider registrations to establish a new business, purchase an existing business, form a partnership with an existing business, and partner with a local or foreign entrepreneur to establish a new business. If invited to apply, individuals must prove that the business being purchased or established can contribute to the province's economic growth. Also, they must prove they will own at least one-third (33.3 per cent) of the established or proposed business. If the applicant has less than 33.3 per cent ownership, he or she must invest at least $1,000,000 in an equity purchase. An individual looking to franchise may be considered under this stream if the proposed franchise is well-established. The potential applicant will be required to provide an expansion/improvement plan that is in accordance with franchisor requirements. A proposal for a seasonal business will be considered by the BC PNP only if the business operates for a minimum of eight months each year and meets all other eligibility requirements for the Entrepreneur Immigration stream. An individual will be disqualified from registering for the Entrepreneur Stream if the proposed business is ineligible. In order to register, an entrepreneur must demonstrate that he or she will make an eligible personal investment of at least $200,000 CAD in the proposed B.C. business within 610 days (nearly 20 months) of arriving in the province. If proposing a key staff member, the candidate must demonstrate that he or she will make an eligible personal investment of $400,000 CAD. The minimum personal investment of $200,000 must be obtained from a candidate's personal net worth. that the business will create at least three new, permanent, full-time equivalent positions for Canadian citizens and/or permanent residents of Canada. earn a wage equal to or greater than the median for that occupation in B.C. If the candidate is invited to apply, the key staff member may be asked to attend an in-person interview, sign a Performance Agreement and demonstrate relevant work experience that is transferable and essential for their work in the proposed business in B.C. In order to obtain a nomination, the key staff member must meet the terms and conditions outlined in the Performance Agreement (full-time work in the business, reside close to business, and wage) and must not hold 10 percent or more ownership of the proposed business. real estate (when purchasing an existing business only the business value portion of the purchase price will be considered as an eligible expense). The BC PNP discourages any investment or financial commitment prior to signing a Performance Agreement with the BC PNP and obtaining a valid work permit from IRCC. An international entrepreneur may use external financing from a business partner or financial institutions. The entrepreneur must, however, identify how the financing will be obtained and how it will be applied in the proposed investment. Candidates must demonstrate that they will create at least one new permanent, full-time equivalent job for a Canadian citizen or permanent resident in the proposed business within 365 days (12 months) of arriving in the province. Individuals must also demonstrate the likelihood of supporting long-term employment of Canadians or permanent residents in the business. Candidates who propose a key staff member must demonstrate they will create at least three full-time equivalent (FTE) employees. An FTE position must be for at least 30 hours per week (1,560 hours a year) and be fulfilled by one or more employees under continuous employment. FTEs must be Canadian citizens or permanent residents of Canada and must not be independent contractors or shareholders with more than 10 percent ownership of the business. The candidate will be awarded points for the business concept if the positions created are classified under NOC skill levels 0, A or B and a rationale is provided for the creation of these FTE positions. If an individual's plan is to purchase an existing business, the number of existing jobs in the business must be maintained and employee(s) must be paid a wage that is comparable to their skill level. If later approved for a provincial nomination, individuals must demonstrate that they have consistently and continuously employed the required number of FTEs for at least six months. A registration is not an application, but rather an expression of the candidate's interest in applying to the BC PNP Entrepreneur Immigration Stream. The program's registration scoring is based on self-declared and business concept factors. Candidates must meet the minimum scores for each factor to enter the selection pool. 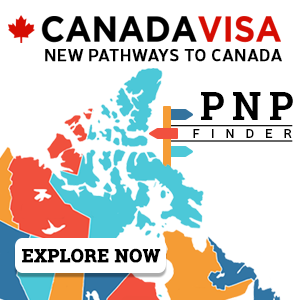 The total score will determine whether or not a candidate may receive an Invitation to Apply under the BC PNP Entrepreneur Immigration Stream. The maximum score available is 200. Entrepreneur Immigration candidates may claim points for their business ownership and/or senior management work experience. Candidates must include details of their business/work experience for the last 10 years prior to submitting an Expression of Interest. If invited to apply, will be required to provide evidence of the reported business and/or work experience. During registration, candidates must indicate the industry sector code(s) under the North American Industry Classification System (NAICS) and the National Occupational Classification (NOC) occupation code(s) that best relate to their experience. The maximum score available for this section is 20. Candidates must score at least 8 points to meet the minimum requirements for this section. Candidates will be awarded an additional 4 points if they have held 100 percent ownership of the proposed business for at least three of the most recent five years. The 100 percent ownership of the business may be shared between the applicant, his or her spouse or common-law partner, and/or dependent child(ren). Candidates can obtain points for their total net worth including that of their spouse or common-law partner, if applicable. When submitting a registration, potential applicants must have at least a minimum of $600,000 in personal net worth. The maximum score available for personal net worth is 12. Candidates must score at least 5 points under is factor. Candidates may obtain points based on their proposed total personal investment for the business. A proposed business-related investment must be completed within 610 days (approximately 20 months) of arriving in B.C. on a BC PNP-supported work permit. If a candidate is proposing a partnership with a co-registrant, he or she must include the names of each partner with the registration. The maximum score available for this section is 20. Candidates must score at least 8 points, or 10 points if they are proposing a Key Staff Member, to meet the minimum requirement for this section. Candidates will receive points based on their proposed job creation, and job maintenance if they are purchasing an existing business. The proposed job creation must take place within 365 days (12 months) of an applicant's arrival to the province. For the proposed business, candidates must identify the number of FTE positions that will be created and maintained. The maximum score available for this section is 20. Candidates must score at least 8 points, or 10 points if they are proposing a Key Staff Member, to meet the minimum requirements for this factor. In addition, candidates will not qualify if they do not create at least one FTE. If proposing a Key Staff Member, candidates must create a minimum of three FTEs. Candidates are awarded points for the location of the proposed business based on the population sizes of B.C.’s Regional Districts. If invited to apply, the entrepreneur is required to work at the primary place of business in the proposed regional district. *The data provided is based on 2016 Sub-Provincial Population Estimates. Candidates will receive points based on their self-declared adaptability factors. While these factors are not mandatory requirements of the BC PNP, they are indicators to support the international entrepreneur's ability establish themselves in B.C. Evidence of language proficiency, such as copies of test scores or certificates, are not required when candidates register to the Entrepreneur Immigration Stream. However, if invited to apply, entrepreneurs may be required to provide evidence of their language proficiency and education, such as an ECA. The BC PNP will assign candidates points for work experience accumulated within the last 10 years prior to applying. The maximum score available for this section is 32. There is no minimum required score for adaptability. description of the business model and its operations: what will the business do and how will it do it? description of how the business will be commercially viable: what is the market entry strategy? provide a description and rationale of the expansion plan. General market research or statistics should not be included in the Business Concept. Candidates' registration will be disqualified if they propose an ineligible business. A candidate must score at least 32 points overall for their Business Concept. The Business Concept will be evaluated based on the following factors. The BC PNP assesses the commercial viability of an applicant's business concept based on the following factors. Under Commercial Viability, the BC PNP examines a business's ability to compete effectively, make a profit and contribute to the economic growth of the province. The maximum score available is 30. Learn more about how the BC PNP evaluates the Commercial Viability of a business by expanding the factors below. In the Business Model, an entrepreneur candidate is required to explain how the proposed business will generate revenue and profit, and the plan to successfully manage and run the business. demonstrate that the existing business is profitable by providing proof that the business can sustain additional expenses, investments, generate profit and hire more employees. The BC PNP awards a maximum of 4 points for a candidate's description of the types of products and/or services that will be offered (or are currently offered in the existing business). The candidate may receive 1 point if the business does not satisfactorily address any of the Market/Product factors or 4 points if it addresses at least one of the Market/Product factors, and is consistent with the Business Model. 1) Competitive edge: the product/service offers distinction from its potential competitors. If local competitors offer the same or similar product/service, then it does not offer a substantive distinction. 2) High-value: the proposed product/service will be a specialized product/service that is differentiated from generic, mid to low-value products/services. 3) New product/service: the product/service is “new to the market” or “new to the world”. The business concept should demonstrate that the product/service is not locally available. 4) Competitive analysis/market entry strategy: business concept provides a competitive analysis that identifies current/potential competitors, how to make the product/service unique or distinguishable, how to attract the target market, strengths and weaknesses of current and potential competitors, and how the proposed business’s competitive advantage and how it will effectively enter the market. The BC PNP assesses a proposed personal investment and assigns a candidate a score in their business concept. The assessment of a candidate's proposed investment is based on the details provided against the type and scope of the proposed business, the market, the products/services, the business model, and the industry and/or local standards. Candidates proposing an existing business will be disqualified if their personal investment is less than $50,000. * If candidates score 0 points in this section, their registration will be disqualified. ** If candidates are proposing a key staff member and score less than 2 points in this section, their registration will be disqualified. * If a candidate's ownership is less than 33 1/3 per cent, a minimum investment of $1 million must be made in order to not be disqualified. proposing to partner with a co-registrant. The BC PNP will assign candidates points for their transferable skills, which are skills that demonstrate the similarity between the occupation and industry where a candidate obtained business/work experience to that of their proposed business in B.C. Once a candidate is invited to apply, the BC PNP will assess those skills once an application is received. The BC PNP defines direct experience as experience gained in the same industry and sector corresponding to the first three digits of the proposed NAICS number. Related experience is defined as experience gained in a similar industry operating in a related business line as the proposed business. For business and/or work experience points, the candidate must have worked as an active owner-manager in a similar business or as a senior manager in a similar position within the past 10 years before applying. If a candidate has business ownership and senior management work experience, their business experience score will be a combination of business experience and work experience. The maximum Transferability of Skills score is 20. Candidates will be awarded 3 points for this Economic Benefits Factor even if no key sectors or significant economic benefits have been identified. Entrepreneur candidates are awarded 8 points if they provide evidence of at least 1 key sector or significant economic benefit. If candidates can provide evidence of at least 1 key sector and 1 significant economic benefit, they can obtain 12 points towards their overall Economic Benefits points. Biomedical: includes research and development, manufacturing, etc. Transferring technology and specialized knowledge to B.C. : facilitates and/or supports the high technology industry, and/or provides opportunities to develop technology products/services in B.C. *An FTE is a position of at least 30 hours per week on average and 1,560 hours per year, filled by 1+ employees under continuous employment. Employees must be Canadian citizens or permanent residents of Canada. **A candidate who obtains 0 points for Job Assessment will be disqualified. When assessing jobs plans, the BC PNP may award points to candidates proposing to create or maintain high-skilled occupations (NOC 0, A or B). If the business concept does not include high-skilled positions, the candidate will not receive any points under this factor. The creation or maintenance of 1 high-skilled position awards applicants 2 points and 2 or more positions result in the maximum available score of 4 points for this Economic Benefits factor. The jobs plan provides insufficient or incomplete information where the BC PNP cannot determine whether the business concept supports the creation of the minimum FTE requirement. Or, the jobs plan only proposes the creation of occupations that are typically contracted out or do not meet the minimum 30 hours per week (or 1,560 hours per year). The proposed job creation plan is not substantiated or appears overstated and/or unreasonable based on the type and scale of the business (and expansion plan, if applicable), and/or industry norms. If purchasing an existing business, the job creation plan is inconsistent with the proposed expansion plan and/or historical financial information. The jobs plan appears consistent with the business model and corresponds to the type and scale of the business. Satisfactory information provided. The NOC code and whether it corresponds to the job title and proposed duties. The proposed occupations are substantiated and are typically employed as full-time positions within the same industry and/or business scale. The proposed wages appear to be consistent with industry norms (for this stage of the business life cycle). Depending on the location of the proposed business, candidates may be awarded up to 8 points towards Regional Development under Economic Benefits. The BC PNP will assign scores to the Business Concept and calculate the candidate's final score. If the candidate qualifies for the selection pool, he or she will receive an email confirmation from the BC PNP and be able to view their final registration score, including scores for each section. Registrations that meet the minimum points total in every section will be entered into the selection pool. Registrations that qualify for the selection pool are valid for 180 days (approximately six months). If a candidate is not invited to apply to the BC PNP within six months of qualifying, the registration will expire. At that time, he or she may submit a new registration to the BC PNP. Candidates may only have one active BC PNP registration at any given time. If the candidate is proposing a partnership with a co-registrant, the total score of the lowest-scoring candidate(s) will be applied to all co-registrants. If a candidate has entered into the selection pool, his or her final registration score will be ranked along with other candidates. Periodically, the BC PNP will invite the highest-ranked candidates to apply to the Entrepreneur Immigration Stream. Meeting the minimum eligibility requirements does not guarantee that a candidate will be invited to submit a complete application. If a candidate is invited to apply, he or she will receive an email notification and will have up to 120 days (approximately four months) from the date of invitation to submit a complete application. At this stage, the applicant must pay a $3,500 CAD non-refundable processing fee to the province and submit a complete application package. An applicant's spouse, common-law partner and/or dependent children are included in the application fee. The BC PNP may invite the applicant to attend an in-person interview at the BC PNP office in Vancouver. Interviews are conducted in English only. If an applicant is unable to communicate in English, he or she must obtain the services of a certified court interpreter. This is to ensure the applicant will be able to clearly communicate to BC PNP program staff. If an application is approved, the BC PNP will require applicants to sign a Performance Agreement. Failure to meet the Performance Agreement expectations may result in a loss of nomination. Applicants who are invited to apply will need to engage a qualified supplier to verify their personal net worth and accumulation of funds as part of the nomination process. timeframes within which you must meet these requirements. If an application is approved, the BC PNP will issue a Letter of Confirmation to the applicant. The Letter of Confirmation serves as a work permit support letter that allows approved applicants to obtain a two-year work permit from IRCC. This allows the applicant and his or her dependents to move to B.C. to start implementing the business plan. The letter remains valid for 90 days (approximately three months). Within 60 days of arriving in B.C. with the valid work permit, the entrepreneur must submit an arrival report to the BC PNP. The arrival report must include basic information about updated contact information in B.C., the work permit, and whether the requisite funds were transferred into a financial institution in B.C. The international entrepreneur will have up to 610 days (approximately 20 months) to implement the business plan, actively manage your business, and satisfy the conditions of the signed Performance Agreement. If the applicants meet the requirements of the Performance Agreement within the 20 months, the BC PNP will nominate him or her for permanent residence. An applicant, along with his or her dependent family members, can then apply for Canadian permanent residence under the BC PNP with IRCC. has complied with any other terms of the Performance Agreement. are in Canada and do not have valid immigration status, or if you are working without authorization. 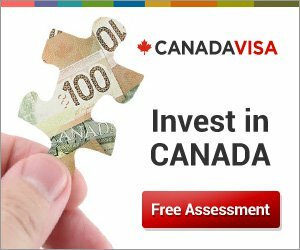 Discover your options for Canada business immigration by completing our free assessment form now.